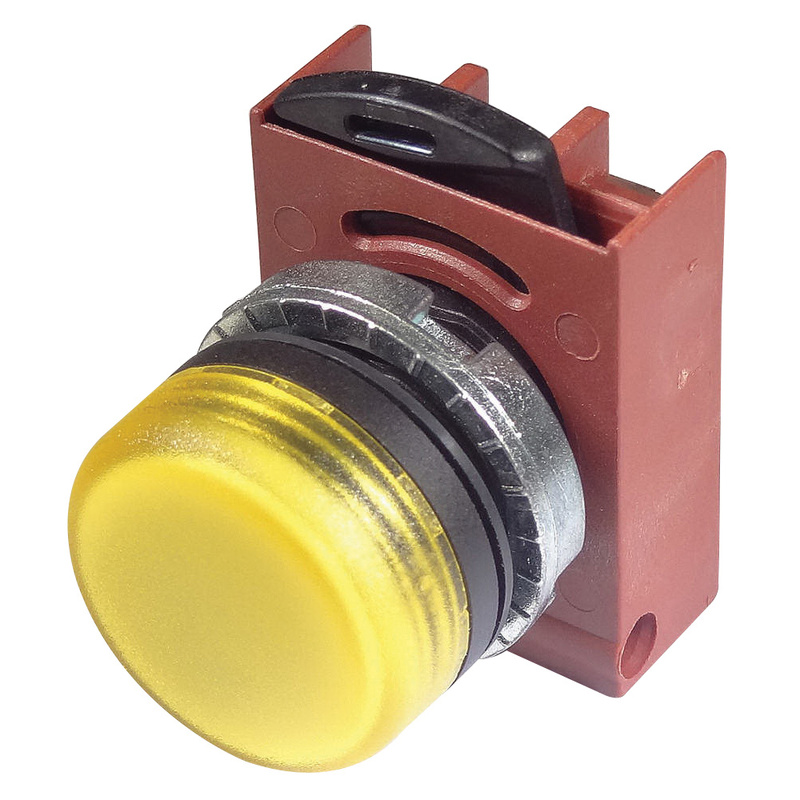 GE Industrial C-2000 Series Pilot light in yellow color, incorporates diffused LED light. The IP66, NEMA 4X rated light in copper nickel chrome-plated finish, has die-cast aluminum/zinc alloy body and polycarbonate lens. It has a voltage rating of 600-Volts AC and a maximum of 300-Volts DC. It has screw terminals for connection. The pilot light meets UL, CSA and CE standards.